Planets and stars form solar systems, which in turn form galaxies like our own Milky Way, but there are even bigger units in the universe. When enough galaxies are clustered together by gravity, they form long, continuous threads known as cosmic walls. 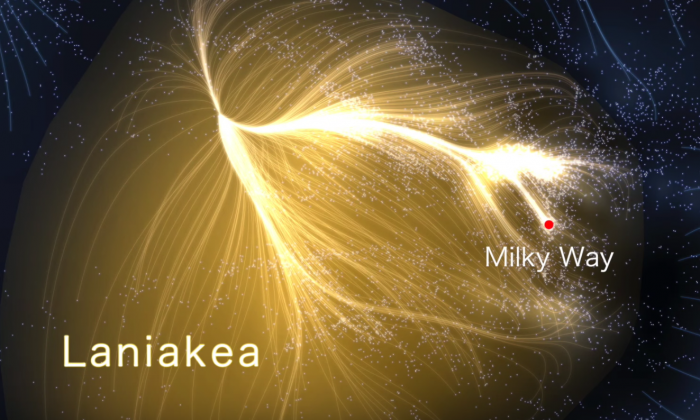 The Milky Way itself is part of the Laniakea supercluster, and scientists also know about the Sloan Great Wall, which is more about 1 billion light years away and around 1.38 billion light years in length. In comparison, the Milky Way is just over 100,000 light years in length. The new cosmic wall that the scientists found is two-thirds bigger than the Sloan Wall, and was dubbed “BOSS” by those found discovered it, short for “Baryon Oscillation Spectroscopic Survey.” The BOSS Great Wall consists of over 830 galaxies and is roughly 4.5 billion light years away at its closest point. “It was so much bigger than anything else in this volume,” Heidi Lietzen of the Canary Islands Institute of Astrophysics told the New Scientist. Lietzen and her team were the ones who discovered the BOSS wall. The data was collected at the Apache Point Observatory in the scrublands of New Mexico. Definitions over what is a single supercluster can be subjective, and the galaxies within the BOSS Great Wall are so far away that it’s impossible to confirm if they’re moving together.